Do your children love Little Tikes? Mine did and still do. We've had our fair share of coupes, houses, workshops, etc. We have had large toys, small toys and everything in between. I'm so excited that I'm now a part of the Pure Insiders team. I will now be able to bring you even more giveaways, prizes and sweepstakes. 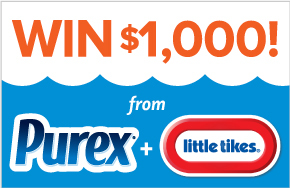 Purex and Little Tikes are currently running a sweepstakes giving away $1,000 to spend at littletikes.com. 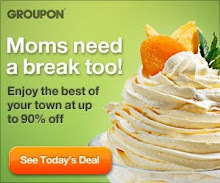 What could you do with that? Summer is winding down and families are scrambling to find the best back to school sales and gear. Purex and Tittle Tikes are here to help your family relieve some of that pressure. So kick back, relax and put your mind at ease as we all prepare for yet another hectic, yet fun-filled school year! Enter the sweepstakes here.